~ gtkisaru ~: 50 Common Interview Questions & Answers. 7.What have you done to improve your knowledge in the last year? How did you feel about that? This is serious. Do not make light of it or in any way seem like you like to fire people. At the same time, you will do it when it is the right thing to do. When it comes to the organization versus the individual who has created a harmful situation,you will protect the organization. Remember firing is not the same as layoff or reduction in force. The interviewer is not looking for a long or flowery dissertation here. Do you have strong feelings that the job gets done?Yes. That's the type of answer that works best here. Short and positive, showing a benefit to the organization. If you have not, say no. If you have, be honest,brief and avoid saying negative things about the people or organization involved. 18. Explain how you would bean asset to this organization ? Stay away from a specific job. You cannot win.If you say the job you are contending for is it, you strain credibility. If you say another job is it, you plant the suspicion that you will be dissatisfied with this position if hired. The best is to stay genetic and say something like:A job where I love the work, like the people, can contribute and can't wait to get to work. Give several reasons and include skills,experience and interest. Try to avoid labels. Some of the more common labels, like progressive, salesman or consensus, can have several meanings or descriptions depending on which management expert you listen to. The situational style is safe, because it says you will manage according to the situation,instead of one size fits all. Trick question. If you know about blind spots,they are no longer blind spots. Do not reveal any personal areas of concern here. Let them do their own discovery on your bad points. Do not hand it ton them. between others. Pick a specific incident.Concentrate on your problem solving technique and not the dispute you settled. 47. Describe your work ethic? And Finally Best of Luck Hope you will be successful in the interview you are going to face in coming days. Great post, i was really impressed with the questions...thanks! 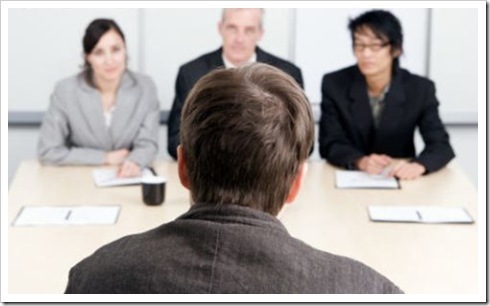 Thanks a lot for sharing this 50 common interview questions and answers.